RI truck tolling revenue is exceeding expectations. 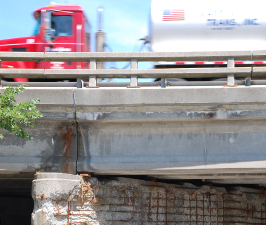 RIDOT issues first quarter report for initial pair of gantries. One of the more innovative and debated elements of the RhodeWorks program is its truck tolling program for specific types of tractor trailers. The revenue collected at each toll gantry is slated to go directly to the repair of its associated bridge or bridge group. Beginning on June 11, Rhode Island began tolling at two Washington County locations near Route 3. As shown in the accompanying summary table for traffic and revenue levels, the first three months of tolling have exceeded original RIDOT estimates in terms of both billable revenue (+5%) and overall usage counts (+7%). The latter point is in contrast to program opponents’ initial fears that tractor trailers would largely seek out smaller roads to avoid paying the tolls, or find ways to bypass Rhode Island entirely. Studies have shown that only four trucks per day are diverting their course to Route 3, a far cry from the pre-program opposition estimates of 300 trucks a day.